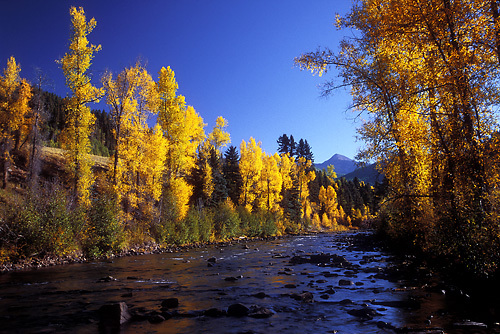 Whereas the aspens were still mostly green instead of golden yellow, the cottonwoods came to my photographic rescue. Their backlit leaves seem to glow. This location was just a mile or two south of Rico.